Would you like to make this lion mask? 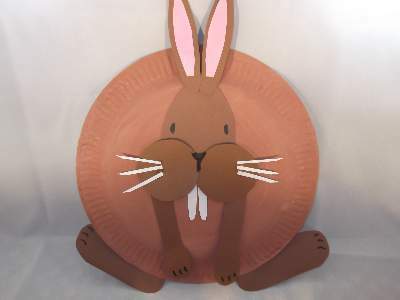 Our paper plate craft projects are full of fun things to do. 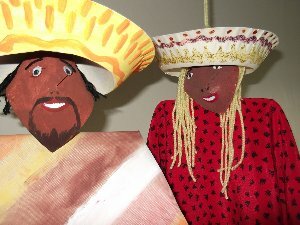 We even have dancing Mexican puppets unique from the KKC crew. 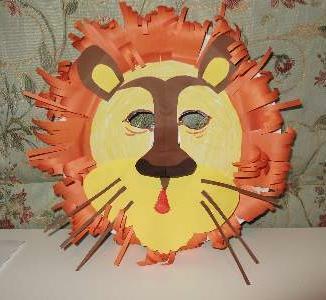 Have some fun and make a zoo full of animal paper plate masks. Our King of The Jungle is the first mask you can try and make. Our kids got on just fine making them at the Summer Craft Work Shop. 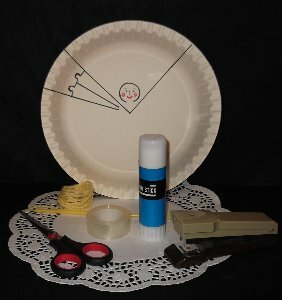 Our KKC virtual paper plate craft kit is now available! There are 10 animal masks to make. Just paint the plates and print off the parts for the faces and stick them on. Still thinking about paper plate craft animals? Well, you can use them to make wall decorations. Here`s a cute bunny to hang up in your room. Some people don`t like frogs... but I like them! How about you? If not, then you may like to make paper plate fish for an imaginary aquarium! We also have 2 gobble gobble turkeys, a cat, and a bobbing duck. There are times when folks don`t like the wild life around, so they make scarecrows. Here`s one paper plate scarecrow who`s just not suited for the job! Wow! Doesn`t he look super koooooool! But he`s not made of snow. Make this paper plate snowman if you are suffering from the winter blues. 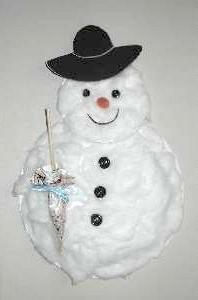 If you can`t make him from the real stuff because the snow just refuses to fall, then make this charming chap from the materials you have. You will be smiling like him in no time. 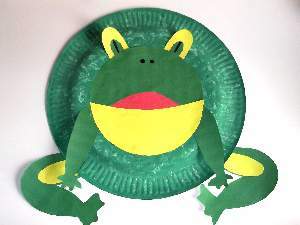 Isn`t paper plate crafts great fun! Paper plate puppets! Now for the unusual for the more advanced crafter! They are here! The KKC original and novel puppets, a dancing Mexican trio (another member joined the couple) with instructions on how to make them. They`re so cute! 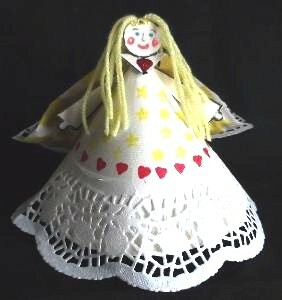 Make this charming princess using either a plain or decorated 9" (23cm) paper plate. You can make use of the decorated side for her dress, but for the princess in the picture, I used the plain side. Make a pattern or template like I have done in the picture. 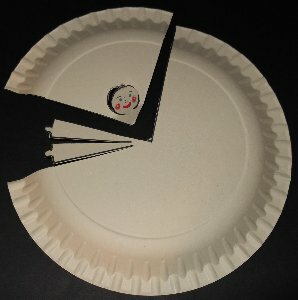 You do that by locating the center of the plate, marking it, and drawing 2 lines to make a quarter pie section. It should look like the position of the hands on a clock when it`s 9 o`clock. For the arms, draw another line positioned at 20 minutes to 9 and draw a line to divide it to make 2 arms. Notice that these lines do not reach the center. Draw an unfinished circle with a face like I have done in the picture. When you are finished cut along all the black lines. Make sure you do not cut the arm lines further than they are marked. Cut out the head but only to where the semi-circle ends. This will form the head and cape. With paper plate craft we try to cut and shape as much of the plate as possible. Turn your plate to the opposite side you want to show if you are using a patterned one and bring the two sides together to form the skirt. Staple it in place from the outside. You can cover the staple on the inside with some sticky tape to keep fingers safe. Fold the arms forward into place. Turn the head and cape section and tape the straw to the back of the head. Turn it back over and fold the head forward, creasing the shoulders. Push the other end of the straw into the hole at the top of the skirt. Cut the straw so that it does not extend below the skirt bottom and secure it to the inside front of the skirt with sticky tape. Now it`s time to make her hair. Cut a small piece of wool for the tie and with the rest cut strands to the desired hair length. Tie them tight together in the middle, put some glue on, and stick it to the head. Now your paper plate is looking like a princess. 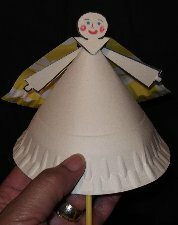 You can decorate her dress with the edging of a doily and use felt tip pens that have stencils on the ends to make patterns on her dress. Gold or silver glitter glue makes a nice tiara and another color for the cape broach. Want more! 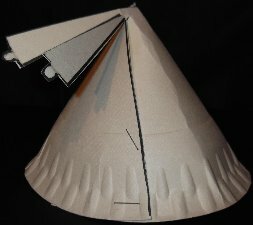 You can jump back to visit our page on more paper craft projects. 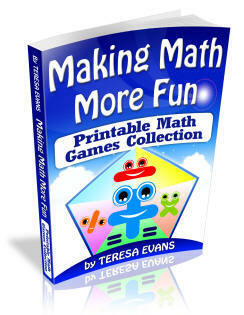 Click Here For The Printable Math Games Collection!